Provide comfort for the family of Mary Robinson - Domack with a meaningful gesture of sympathy. Mary L. Robinson – Domack, 71, passed away at home on March 31, 2019, after losing her second battle with cancer. She was the beloved wife of 37 years to John A. Domack. Mary was born in Worcester, a daughter to the late Walter F. and Wilberta A. (Friars) Robinson. She was raised in Northborough and lived in Princeton for 20 years prior to returning to Northborough in 2003 to be near to her family. For over 20 years Mary worked as a dispatcher for Comgas / NStar and Eversource; she retired in 2003. Prior to that Mary worked numerous years as a dispatcher with the Northborough Police Department. She enjoyed reading and looked forward to spending time with her large extended family. Mary was like the mother hen of the family; people could trust her with their problems and expect honest advice in return. Besides her husband John Mary is survived by her two brothers Walter and Fred Robinson, her three sisters Beatrice Girouard, Barbara Stone, and Elsie Robinson who was also considered Mary’s best friend. She also leaves many nieces, nephews, great-nieces and great-nephews. She was especially close to her great-nephews Eddie and Jason Cooley. Mary’s family extends its heartfelt appreciation to the nurses of Notre Dame Hospice for the care and support shown during Mary’s final days. It was Mary’s wishes to have her final arrangements private. There are no public services planned. Please consider a donation in Mary’s name to the Northborough Food Pantry, 37 Pierce Street, Northborough, MA 01532. Hays Funeral Home, 56 Main Street, Northborough is assisting the Domack family with arrangements. 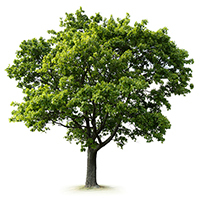 To plant a memorial tree in honor of Mary L. Robinson - Domack, please visit our Heartfelt Sympathies Store. Donations are being accepted for: NORTHBOROUGH FOOD PANTRY. I want to send my condolences to the family and friends. Having to deal with the loss of a love one is something that we never want to experience. But, knowing that we can receive comfort from God ( 2 Corinthians 1:3,4) we can rest assure that he will guide us through these grievous times. I’m so sorry for your loss. Mary will be missed. What has helped me in times like these is what Jesus said at John 11:25, “I am the resurrection and the life. The one who exercises faith in me, even though he dies, will come to life.” I hope this will comfort you as it has me. If you need anyone to talk to, please feel free to reach out to me.